Emsisoft Emergency Kit is a free malware scanner that allows you to scan and clean infected machines. It’s fully portable, which means it doesn’t require installation and can be run directly from portable devices such as USB drives. It uses the same scanner technology as Emsisoft Anti-Malware, so we thought: Why not make a feature to build your own Emergency Kit on the fly directly from within the main product, using the already available components? 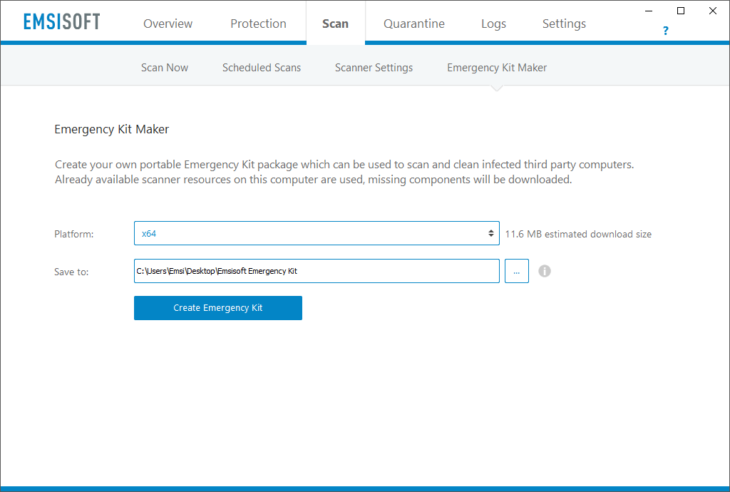 You can find the brand new Emergency Kit Maker in the “Scan” menu in Emsisoft Anti-Malware. Let us know what you think in the comments below. Select the target platform (x86 or x64 Windows). Specify a portable device to save the files to. Hit the “Create Emergency Kit” button. Then you can use your kit to scan and clean computers of malware infections without having to download the entire package from our website. Your newly created kit includes the latest detection updates. New: Emergency Kit Maker in “Scan” menu. 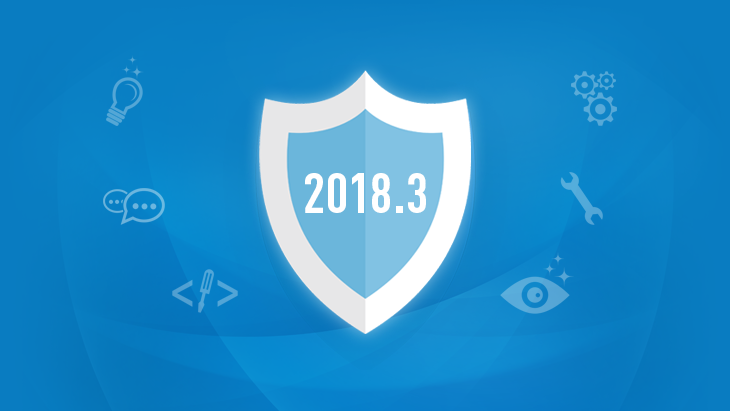 Improved: Compatibility with Kaspersky, Avast, AVG and several other third-party antivirus applications. Improved: Detection and handling of malware. Improved: Handling of various malware-abusing command line tools performing malicious actions. Improved: Handling of Windows Store applications. Improved: Simplified program installation for .exe installer. Note: This update requires a computer restart. New: Option to hide the Emergency Kit maker via policies. New: Emsisoft Emergency Kit — the only fully portable dual-engine scanner available — is now available for download as a Portable Apps package. New: We’re proud to announce our partnership with PortableApps.com and integration with the PortableApps Launcher. Fixed: Occasional crash on Windows Server.